We’re set for another entertaining weekend of football action after plenty of drama, upsets and the third managerial sacking of the season last weekend. 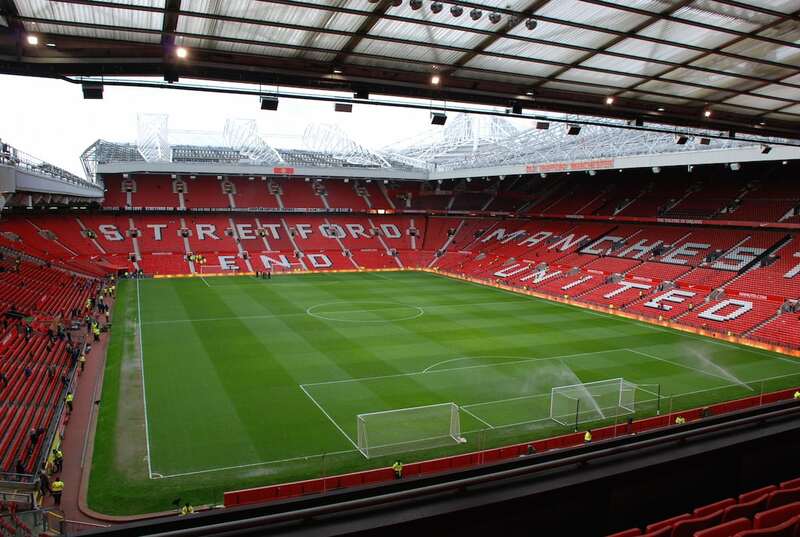 Man Utd lost their first game of the season in a shock loss to Huddersfield, who will be looking for another upset at Anfield, with Klopp’s side eager to bounce back from their 4-1 loss to Tottenham – who travel up to Manchester for the weekend’s biggest game. Champions Chelsea face struggling Bournemouth, while free scoring City will be looking for more goals at West Brom – another side struggling. Claude Puel will want his first game in charge at Leicester to be successful against manager less Everton, after Ronald Koeman was sacked after their 5-2 loss at home to Arsenal. At 2-1 down home to Watford, many Blues fans would have been fearing the worst. Another home defeat would seriously put Conte under pressure. Thankfully for the Blues, they pulled it together in the end, mainly thanks to substitute Michy Batshuayi. While they still managed the win, you still feel Chelsea aren’t quite the champions of last season – as they sit in 4th in the League. Conte will want more from his players, and will want better performances to come, with this weekend being a prime opportunity. Bournemouth fans will be satisfied with their win at Stoke – but will know that more results like this need to come sooner. Eddie Howe isn’t under pressure though, his side have been playing well, but have been quite unfortunate. I see Chelsea putting in a bright performance here, and winning this one comfortably. Man City are just getting better and better. They’re averaging four goals a game, but you watch them play and know that they should in fact be scoring more. Mid week against Wolves though left everyone confused. They were the first side to prevent City scoring a goal in the ninety minutes, meaning it took penalties for Guardiola’s side to make it into the quarters of the League cup. City fans will hope this was just an off night, while they also hope Aguero breaks the all time goal scoring record at Man City this weekend. This would seem likely against a West Brom side really low on confidence. The Baggies haven’t won since the second weekend of the season, meaning Tony Pulis may be feeling slight pressure. Therefore a visit from City won’t help. Following these clubs somewhat contrasting results last weekend, this game is set to be hugely interesting. Not only is it a fascinating game based of how bad Liverpool were, and how good the Terriers were, but how the opposite managers formerly worked with each other for years – and the fact they are long time best friends. Both Klopp and Wagner no doubt will want to get one over on the other at Anfield – but you feel Klopp will want it more after their outing at Wembley. Their defence once again was appauling, so Huddersfield will look to explore this. Klopp along with Reds fans will want a huge response from their players, and while their result against United was superb, I can’t see the Terriers repeating it this weekend. Arsene Wenger will be thrilled after their performance at Everton. Many Gunners fans would have been hugely concerned after Rooney’s goal, but the North London side played very well, and deserved the three points – even if it was against out of form Everton. What will most please Gunners supporters will be how well Mesut Ozil played, partnering Sanchez and Lacazette in what was his best game in an Arsenal shirt for a while. Fans shouldn’t get too excited though, they need more positive results, with a home game against Swansea an ideal chance to get more points. The Swans have had a difficult start to the season, meaning results have been hard to come by. Paul Clermont will know that he needs to start picking up more points soon as the Welsh side sit just above the relegation zone – but at the Emirates, this is unlikely to happen. These clubs haven’t exactly had the start to the season they both wanted. The Foxes were still harsh to sack Shakespeare after their tricky start, but the fact they beat Swansea 2-1 shows that they can play. Claude Puel will take charge of his first game for Leicester, and will be confident this side can get the job done against an unconfident Toffees team. David Umsworth is taking temporary charge, but away from home, to a Leicester side playing their first game under new management, this will be tricky. They need to start being more creative in attack Everton, which I can see happening this weekend, but they still won’t get the win. Roy Hodgson will be so frustrated with their 1-0 loss at Newcastle. The Eagles had been doing well to gain a point away from home after their amazing victory over Chelsea – before a late winning goal from the home side. Palace fans will be pleased that their side are playing better football though, and will be confident that they can get a win over a under pressure Bilic. The Croatian’s West Ham side are playing poorly right now – with just two wins this season, after so much promise and expectation over the summer. A 3-0 home loss to Brighton may have been the end for Bilic, but thanks to an amazing comeback midweek against Spurs, Bilic has got some time. I’m going for a draw here though as West Ham will be much stronger in defence this week. There is much talk at the moment that Sean Dyche will become the new Everton manager. Burnley fans will be praying that this won’t be the case – as their side are playing brilliantly right now, currently in 8th place. At Turf Moor, they are always tricky to beat, with a confident Newcastle visiting. The Magpies are clearly playing well at the moment, with BBC pundit Garth Crooks even suggesting they could win the League this season. Away from home though, they haven’t quite been as strong. This should be an exciting game, but at home, you usually have to back Burnley. Watford played very well at Chelsea, gaining a 2-1 lead over the champions at Stanford Bridge was remarkable from a Hornets side that is surprising many. Had they taken their chances, they may have won last weekend. Marco Silva has got his players playing creatively and confidently. They have every reason to be confident too, currently 6th in the league, with their only losses so far coming against Chelsea and Man City. Stoke on the other hand are not so confident. They have just two wins so far this, and have looked really weak in defence. A 2-1 loss at home – where they are usually quite strong, would have worried Stoke fans last week, and I can’t see their fortunes changing against a confident Watford. This Brighton side – much like the other promoted teams, are surprising many with how well they are coping in the League. They were very impressive at the Olympic Stadium, meaning they sit in 12th. What will please Chris Hughton though is how well the Seagulls have been at home, meaning Saints fans may be a little worried this weekend. Southampton have had problems scoring goals this season – if it weren’t for a superb goal from substitute Boufal on Saturday night, it would have been another frustrating home performance. The way Brighton are playing right now, you would back them this weekend.